Click on the Cover to Purchase! It’s the 21st Century, and magic users are outlaws. The public considers summoners evil and in league with the Devil. So when someone or something wipes out the entire Spokane Grove, police are baffled and wary. After all, what is more powerful than a group of summoners? Grace Moore is a foodie—and a mid-level Seattle summoner—sent to investigate the murders. In her search, she discovers Robert, a streetwise teenager, who inherits his summoner uncle’s diary and performs a summoning to get back at a teenage rival—and accidentally attracts a giant demonic raccoon looking to devour anyone with talent. Robert is the most powerful magic user, albeit untrained, she’s ever seen. If the demon raccoon manages to devour him, Grace is sure that the cops won’t be the least of her problems—assuming she lives. But can she keep Robert safe and solve the murder of the magic users before she can become the next item on the demon’s menu? And they all lived happily…oh, never mind! You’d think that saving the world from demons is supposed to come with justly earned desserts or at least flaky pastries. For Grace Moore, covert summoner/full-time foodie, saving the City of Spokane and earning a promotion is anything but. Her days are now full of paperwork and Grove politics, and her navigation of the new political waters is like a brick in scuba gear. Then, there’s Grace’s eighteen-year-old apprentice, Robert Lorents. Robert is the most powerful untrained summoner Grace has ever seen, but her promotion means he’s left high and dry to clean up Spokane while she goes to Las Vegas on Grove matters. Robert is understandably annoyed. Yeah, saving the city was okay. Avoiding becoming a giant demon raccoon’s snack and the demon Cythymau’s new battery pack was even better. But he screwed up and failed to save a girl who was trapped in Cythymau’s clutches. Grace seemed to have forgotten that little problem. And Robert isn’t willing to get to it “sometime.” Besides, what else does an annoyed, mostly-bored, foster kid in Spokane have to do anyway? Being rescued ain’t all it’s cracked up to be. subject of contention for political factions within the Groves. creatures that used to be Cythymau’s. They just do not make therapists for this sort of thing. traumatized demon-victim. His new master already tried to kill him once. To top it off, he’s now responsible for Rick the Cornuprocyon. Thirty-foot long telekinetic raccoon demons make the worst housepets. In a world where just about everyone is out to get them, can Robert and Andrea survive on their own? An anthology of dragons and creativity. 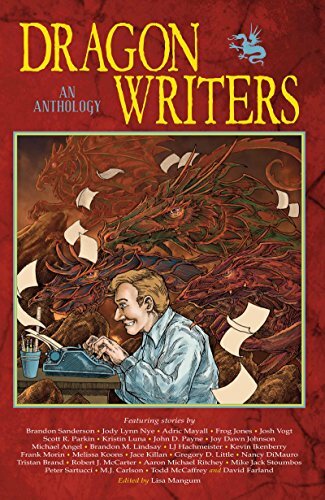 This is a charity anthology; the proceeds go to support Kevin J. Anderson’s scholarships for young writers. Frog managed to get his story in next to Brandon Sanderson, David Farland, Jodi Lynn Nye, and Todd McCaffery. A truly stunning selection of inspiring dragon stories. 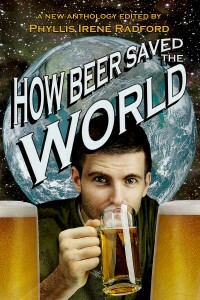 This anthology features assorted speculative fiction stories where beer solves the major plot point to save the day. 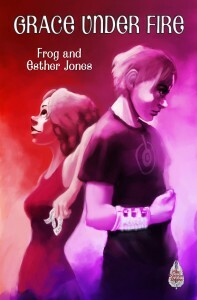 “End of the Long Haul,” by Frog and Esther Jones is our first foray into scifi. Beer is, by far and away, the best-selling anthology we have. So it’s time for the hair of the dog that bit us, as we dive into another tankard filled with stories in which the answer is, as always, beer. 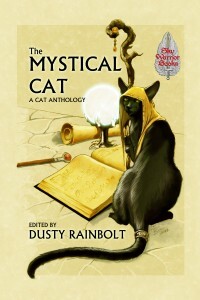 This anthology includes “The Last Shaman,” by Frog and Esther Jones along with the stories of 18 other authors. In our story, The Great Spirit sends Cougar on an unusual assignment–to help a drunken oaf fulfill his spirit quest, whether he wants to or not. 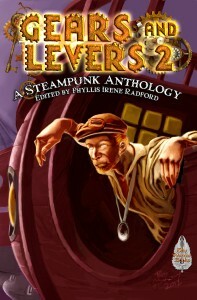 This anthology twenty steampunk stories from all over the globe. “Hidden Spear,” by Frog and Esther Jones is set in Africa during the Anglo-Zulu War. A collection of fabulous werewolf stories. Our contribution to this anthology is entitled “Dumpster Diving,” and features a comedic twist on the classic werewolf story wherein a werewolf bites a small, stray mutt instead of a human. There’s a place, in deep space, where all aliens can get together to hash out their differences and find a way to coexist. Of course, running a place like that is difficult at best, nightmarish at worse. This is a shared-world anthology, where even the authors have to navigate Ab’ners Rules of Ettiquette in order to take their seats at the First Contact Cafe. 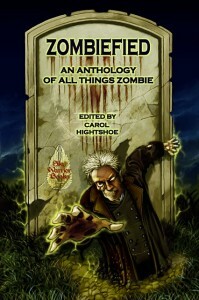 “The Curse of Khenti-Amentiu” by Frog and Esther Jones is included with 24 other zombie-themed short stories. Our tale features classical Roman zombies. That’s perfectly normal, right? Inspired by a yearly camping trip we take with other authors, this anthology is a science fiction anthology where people (or beings) in the future try to rough it out as best they know how. Our story within is “Kampground of Andromeda;” an Eagle Scout with a terminal disease awakes from his cryogenic freeze to find himself cured and indentured to a company trying to provide an authentic camping experience to creatures whose RVs are interstellar-flight capable. The title says it all. Not necessarily steampunk, mind you. 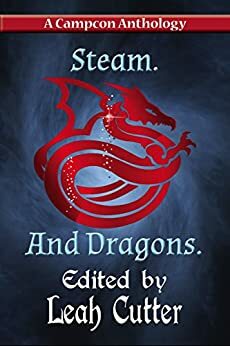 But the stories here all involve steam, and they all involve dragons. A diverse anthology. 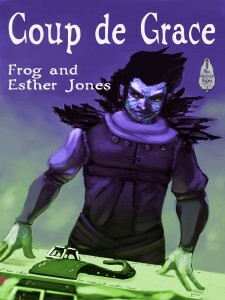 Our offering within is “Vapors and Valor,” a short story that has become Frog’s favorite thing to read at conventions. It features the classic tale of a knight sent to slay a dragon, only to find a scaly bon vivant living a quiet life filled with wine and bathing pools.